If you ever needed a reason to stay away from Chuck E. Cheese, this might have been a good one. 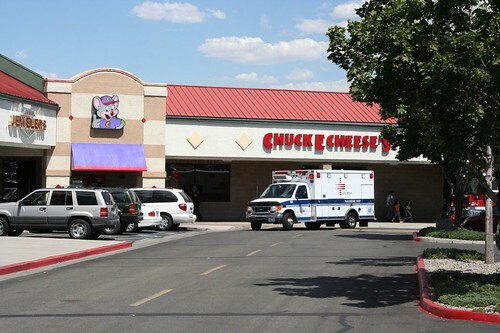 When we saw the ambulance fighting its way through Reno midday traffic, we joked that somebody probably choked on the cardboard pizzas they serve there at Chuck E. Cheese. Then we drove by, and found out that’s really what happened. The person they carried out on the gurney was sitting up and conscious at least, so there were no fatalities. But let this remind you how dangerous bad food can be.